Yes, just come along, say hi to the run lead at the start of the run and they will have a short form to complete, hopefully you will enjoy and decide to join, you can try the club for two weeks. I am interested in more information about the club? We usually have them on the last Wednesday of the month, but we also have extra sessions, they are all listed under ‘http://www.redwayrunners.com/events/‘ tab on the club web site. I am a business/service can we work together? 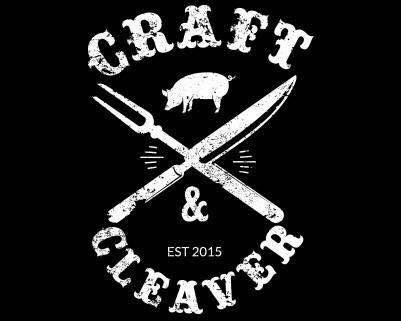 The Craft and Cleaver is a fantastic new Restaurant in Milton Keynes with two Redway Runners at its helm – James Down and Paul O’Grady. Following a hugely successful launch this week its surely time for us all to offer our support and go and try some of the amazing food they have on offer. Vegetarian and Gluten Free diets can be catered for please specify when booking. Not long till the third Redway Runners festival of Running at Caldecotte lake, if not running come along and support the runners, it is really appreciated as we run round that lake. 1.30 – 2pm – BAR !!! The course will be marked on the ground with flour – as a basic rule of thumb you take the trail closest to the lake – all routes are downloadable from the website & the link is at the bottom of this post for you. Water will be provided every 3.55 miles (one per lap) is 500ml screw top bottles along with a few snacks, bags can be left at the back of the aid station gazebo at your own risk. All race numbers must be worn on the front of your clothing & visible so we can record your completed laps & times. Bins will be provided in 2 locations just beyond the aid station & under the dual carriageway bridge half way round each lap. We are guest of MK parks trust be aware we are not the sole users of the park – please be aware of dog walkers, anglers, cyclists etc… there is a dog walking event 10 – 11.30 on Saturday so marathon runners need to be especially aware. The current weekend forecast includes rain (at what time of day I don’t know & things can change on the next 5 days) be prepared. Toilets are located within the pub to the left of the front doors & there is a large free car park, although car sharing is still encouraged. Team Enigma look forward to welcoming you all at the weekend. Thank you to all those who took part in Sunday 3 June 2018 Treasure Hunt from Howe Park Wood. 178 runners in 53 teams hunted down the clues with some very funny ‘selfies’. Huge thanks to Steve’s team of helpers, Sophie Martin, Rob Thorne, Helen Blucher-Altona, Carol Downs, Brenda Scott who were out since the crack of dawn setting up, Terry Downs who looked after you all out on the course and Becky who was on hand to take a number of photo’s. Although it was a fun event, it was timed and the winning team of Simon Navin, Dawn Navin and Jenny Moorhouse completed the course in an astonishing time of 44 minutes.